Comments : Sadly we have had to put our "big" boy, Silas to sleep, and the scatterbrain Theo is really missing him! Just checking what is available though Himself says "no more puppies"! Comments : We bought our lovely boy from Heirloom kennels Glenbrook and we lost him aged 10 he was a wonderful family member who is missed everyday,we have been in touch with Heirloom kennels and have our name down for a new baby. Comments : Please update the webpage, and have been trying to contact someone to join, no reply to my emails - do I have the right one - richardkingetc Do you want new members?? Comments : My Boxer is called Flynn and he does Agility,Elementary ob.Rally and has his C.G.C.Silver. 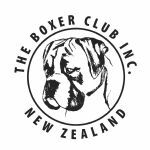 Comments : Why did it take me this long to find the boxer club? Found this website through a posting on the Trademe messaage board about a fun day later this year - what fun that will be! Would love to have the opportunity for our brindle boxer boy to be amongst his own kind. Comments : Hi. Although I am not a current memeber I would just like you to know that our family is lucky to have Monty. He is a six year old red boxer.This message is to let you know that if there is anyone who requires his services for breeding to please let me know. We got him through Heirloom kennels in Glenbrook, Ak. Happy to have people/other boxers come and meet us all. Comments : Just wanted to say a quick hello to all you wonderful Boxer people i met when i visited with Monique Hodgkinson in November. I was hoping to see some photos of the show and be able to reminisce! Comments : I can't wait to meet and introduce our pup to the others! Comments : Is it really five years since I judged your special 50th Championship Show? WHERE has the time gone!Really enjoyed my judging and your beautiful country....not forgetting the wonderful hospitality of Ludene and Richard. Hope to return one day.